Who’s ready to make a splash?! 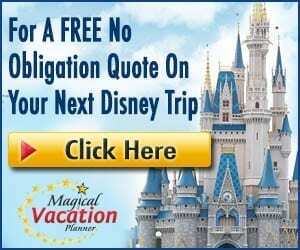 It’s hard to believe, but Disney World’s 5 Moderate Resorts swell to a total of 20 pools to choose from! Here’s all you need to know about the Moderate Resort Pools. Head to what is known as the “Dig Site” where you will find the Lost City of Cibola Pool. This lost city is themed after the Mayan ruins which is evident in the towering Mayan pyramid that has water spilling down the side of it. Brave the 123-foot-long waterslide that has a jaguar statue that will surprise you by spitting water at you as you slide by! The trees and greenery situated near the pool provide excellent shade – or arrive early to snag an umbrella spot. Kiddie Area: Near the Mayan pyramid, you’ll spot a small kiddie pool for the young ones to splash around in. It’s a very simple pool, but our little one enjoys taking a seat in a pool his size. 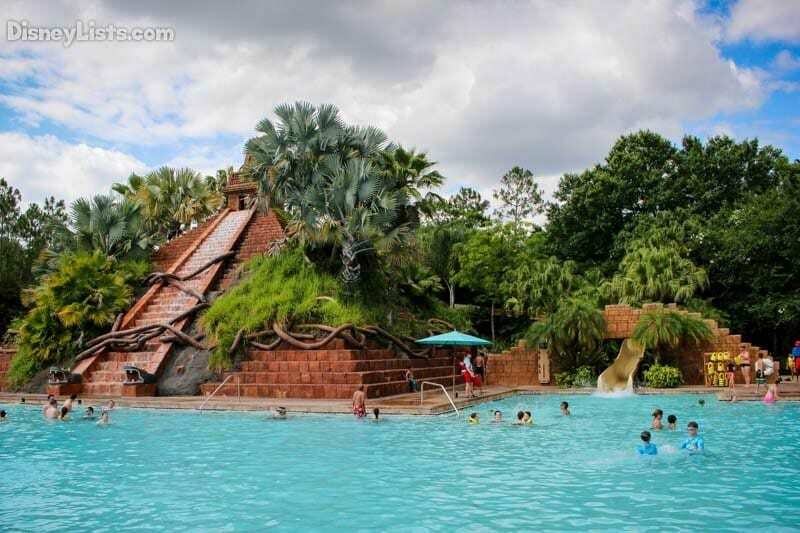 Spa: What Coronado Springs might lack in kiddie pool size – they make up for in spa size! As a matter of fact, Coronado Springs is home of Disney World’s largest hot tub on property which holds 22 guests comfortably. There are also two 12-person spas perfect for relaxing amidst the ruins. Leisure Pools: Three leisure pools are sprawled throughout the Coronado Resort for easy access and for a quieter experience than one might find at the dig site. These leisure pools are the Casitas Pool, Ranchos Pool, and Cabana Pool. Don’t forget to bring a towel from your room when taking a dip in one of the leisure pools. Towels are available at the City of Cibola Pool. Breakfast, lunch, and cocktails… one of the best pool restaurants on Disney property! It’s a great place to grab a bite and a drink while laying out in the sun or taking a break from swimming. As you can tell by the name, Fuentes del Morro Pool is themed like a colonial Spanish fortress! Beware as this location is a pirate’s paradise! We love the zero entry into the pool and the 2 waterslides. Fuentes wouldn’t be a complete fortress without the water cannons! Shade is provided by the cabanas and the grand palms in different locations around the pool. Kiddie Area: Steps from the Fuentes Pool, children 48” or under can enjoy their own haven. The shipwrecked play area includes mini slides, a crow’s nest and a bucket that provides a downpour of water! Spa: Adults – we didn’t forget about you! Check out either of Caribbean’s two 12-person spa pools located near the Fuentes Pool. Leisure Pools: Enjoy 6 other pools besides the Fuentes Pool. Each pool is nestled in a village and offers an opportunity to swim without the crowd that may gather at the Fuentes Pool. Going clockwise from the Fuentes pool – the leisure pools are Trinidad South, Trinidad North, Jamaica, Aruba, Barbados, and Martinique. All of these pools are fairly similar and average in size with shade umbrellas and lounge chairs. Bring a towel from your room as towels are only available at the Fuentes Pool. Check out Banana Cabana after a long day at the park or just when in need of a tropical drink while lounging by the pool. They also have a few snacks that go great with the drinks. Themed with the rustic American Frontier in mind, the outdoorsy feel holds true at the Meadow Swimmin’ Pool with its surrounding wood structures and natural forest. Check out the corkscrew waterslide that is 67-feet-long and makes it look like you’re sliding down the side of a barrel water tower. There is a great shade structure with picnic tables as well as the usual umbrellas. Towels are not available at the Meadow Swimmin’ Pool, so snag one from your room. Kiddie Area: Let the kids cool off in their own kiddie pool with slides just steps from the Meadow Swimmin’ Pool. Spa: Adults are welcome to relax their muscles in the whirlpool spas located at the Meadow Swimmin’ Pool and also at the Wilderness Swimmin’ Pool. Leisure Pool: The Wilderness Swimmin’ Pool is of average size and seems to be a little less crowded than the Meadow Swimmin’ Pool. Once again, you’ll need a towel from your room. It may be called a snack bar, but the Meadow Snack Bar offers some filling choices such as sandwiches and hot dogs. Beer and specialty drinks are also available to enjoy pool side! Trek across one of the three wooden bridges to reach the Ol’ Man Island which is positioned at the heart of Port Orleans Riverside. You’ll spot the awesome Ol’ Man Island Pool which is themed after an old sawmill with a 95-foot-long waterslide! The center island in the pool acts as a support for the sawmill but is also a fun place to hang out. Shade is provided from some of the structures as well as the mature trees, but we suggest you look for an umbrella to lounge under if possible. Towels are available at the Ol’ Man Island Pool. Kiddie Area: A kiddie pool is available near the Ol’ Man Island Pool for the little ones. It’s pretty simple in designs but as a parents we still love the options of letting your tot explore the water while the bigger kiddos are splashing around in the big pool. Spa: Ol’ Man Island Pool has a whirlpool for those of us that like to feel a bit of serenity. 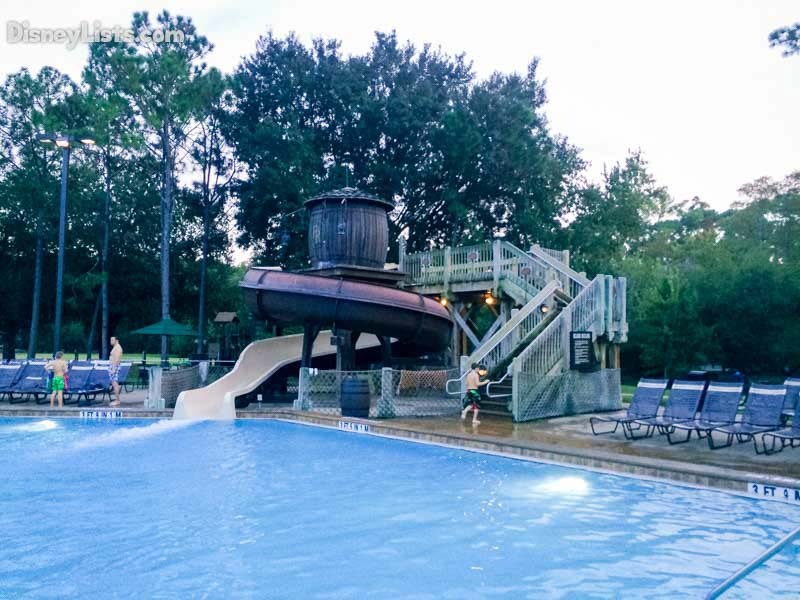 Leisure Pools: With a total of 5 pristine leisure pools (3 in Alligator Bayou, 2 in Magnolia Bend) it’s easy to find a place at Port Orleans Riverside to enjoy a swim. Brings towels from your room for the leisure pools. Don’t expect food at this location, but you can get your fill of amazing specialty drinks, cocktails, and beer. Check out this Mardi Gras themed pool that is hard to miss with its’ spectacular design and theming. 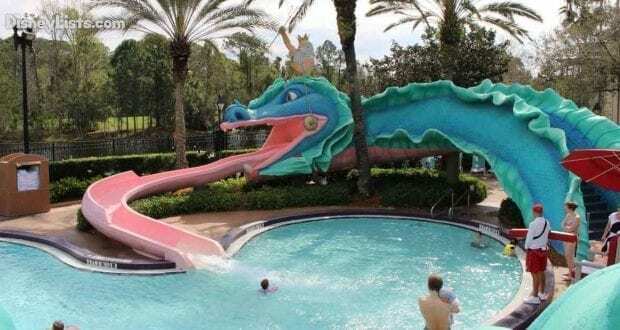 The massive sea serpent stretching across the pool and waterslide is incredible! Umbrellas are your best bet for shade here, although you’ll find the trees make for some natural shade during the right time of the day. Towels are available at Doubloon Lagoon. Kiddie Area: The kids water play area is for the young ones 48” or under at Doubloon Lagoon. This splash/play area is known for its cool kiddie slides and fun water activities. Spa: As with the other resorts, Port Orleans French Quarter also has a whirlpool spa for the adults seeking relaxation. 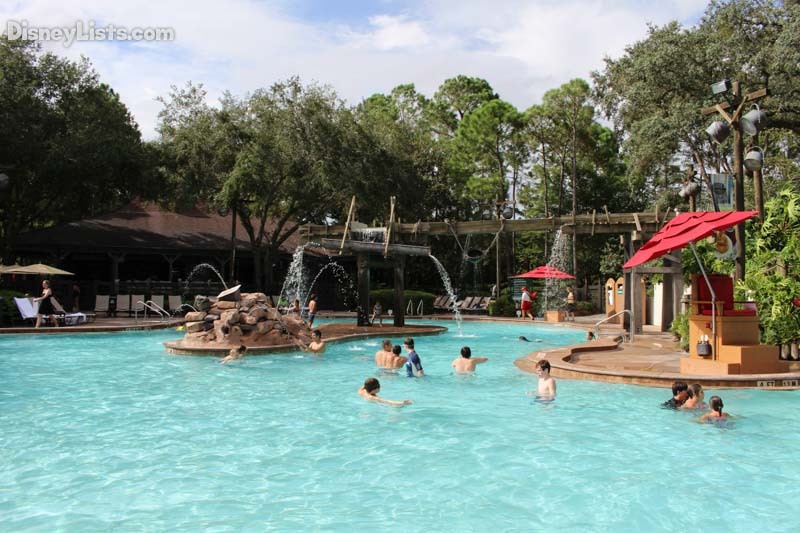 Leisure Pool: For leisure pools, you’ll want to head to one of the pools mentioned above at Port Orleans Riverside. There are no leisure pools on the French Quarter side. Hello Fat Tuesday! Madri Grogs has an excellent menu of drinks, wines, cocktails, beers, and just about any concoction you can imagine!